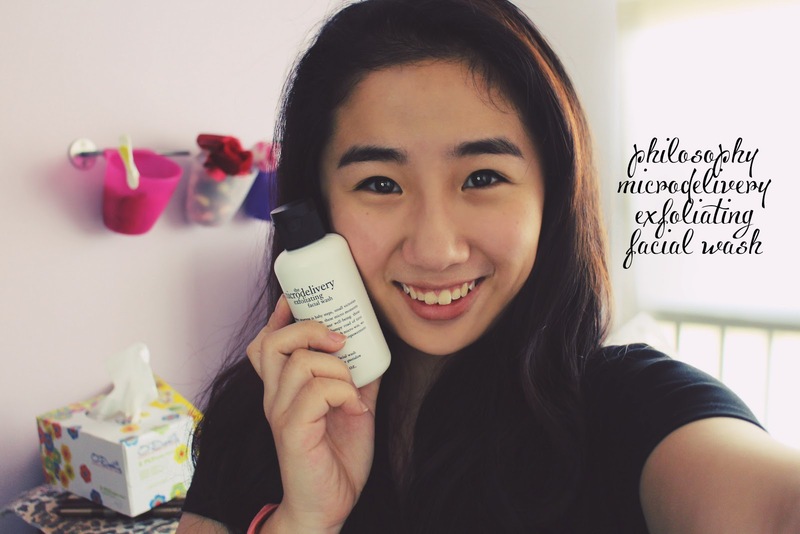 Whilst walking around TANGS with Sam the other day, we couldn't help but notice the flawless skin that the sales assistant was sporting at the Philosophy store. It was absolutely flawless and glowy. We had to find out just how she achieved it. 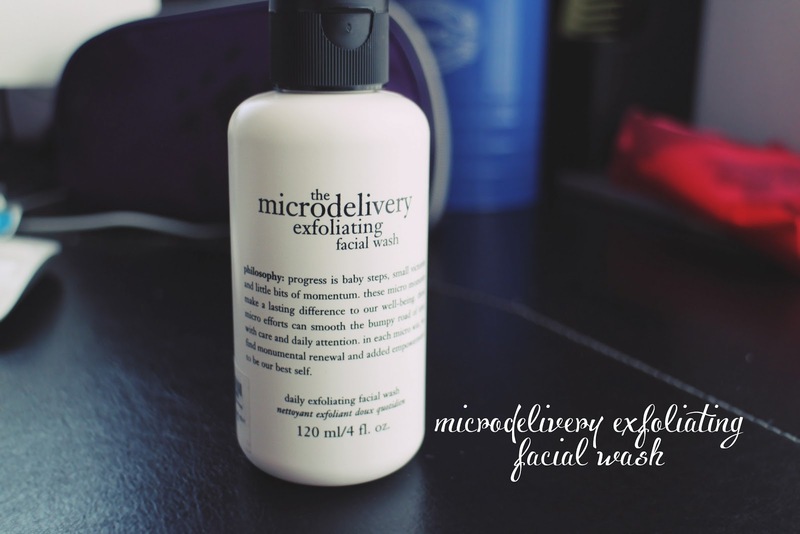 So upon her demonstrating her process, she did mention a particular product that she uses daily, The Microdelivery Exfoliating Facial Wash. This facial wash is targeted towards ALL skin types, it is gentle enough to be used daily and it is designed to effectively cleanse and replenish our skin while providing resurfacing benefits. (*) Regular Exfoliation helps buffer fine lines, even skin tones and give your skin a healthy glow! I do believe the lady mentioned that the beads help remove blackheads, pimples etc due to the micro-beads which help open up the pores a lot better as opposed to other exfoliating facial washes. Here's the thing, I always put skincare first - if there is a way that I can prevent having to conceal my blemishes and having to apply a foundation / tinted moisturizer to even out my skin tone - I definitely would. So needless to say, I decided to purchase the smaller size version (120 ml) of the product. The texture is so gentle, its so gentle that I doubt you can actually see the micro-beads in the gel within the photographs! 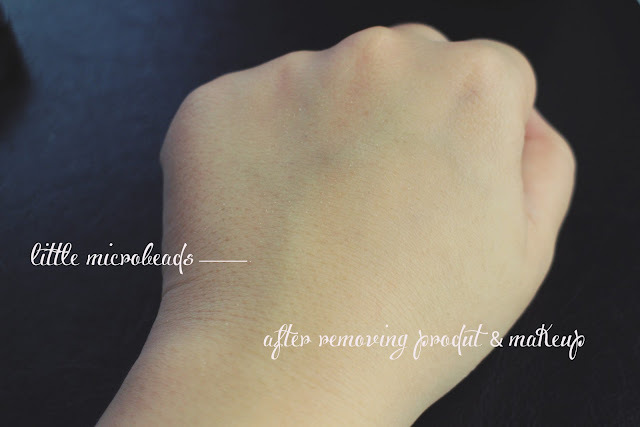 The beads slowly dissolve upon massaging the product into your skin. 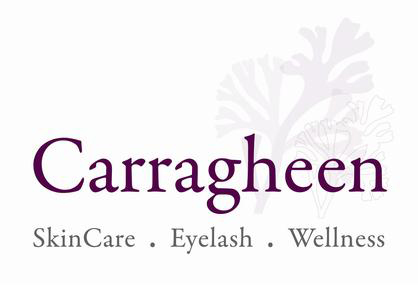 Apply the product onto your finger tips and gently massage the product onto a damp face for about a minute or two. There's no set time on how long you should massage the product for but I always find that my shower time is my time to relax and to de-stress from the day so I enjoy taking my time with my whole cleansing regime. After which, you rinse off and carry on with the rest of your skin care regimen :) Do only use this once a day, I recommend using this in the night time because it helps to remove all the gunk we have clogged in our pores during the day so we head off to bed with a fresh and clean face. This was taken without any product on. 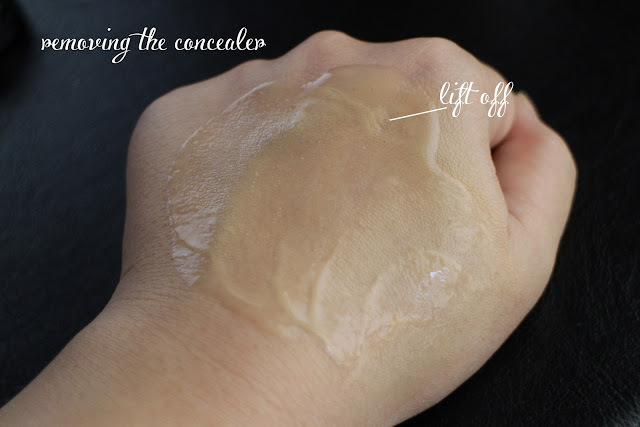 After gently massaging the product into my hand, you can almost instantly see the product lifting off the concealer off my hand with the slightest amount of effort needed. This is the outcome, I gently removed the residue with a tissue paper to show you guys the remains of the product (the mircobeads) and you can't even see them unless you click the photo and zoom in! Regardless my skin is left feeling smooth and looks a lot brighter than it did in the beginning. 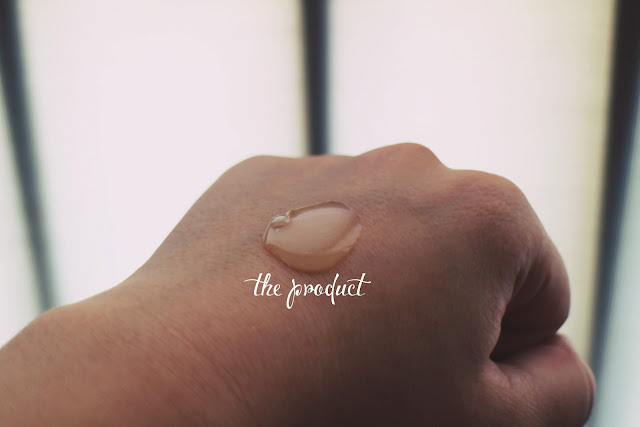 I absolutely love having this as my every day facial cleanser, the micro-beads assures me that my pores have been unclogged for the day without having to over-dry my skin and i think that's a very important factor to look out for within the product. For you lovelies who do have sensitive skin, I assure you this won't be one bit harsh, its something you should try out when you pop by the philosophy counters. 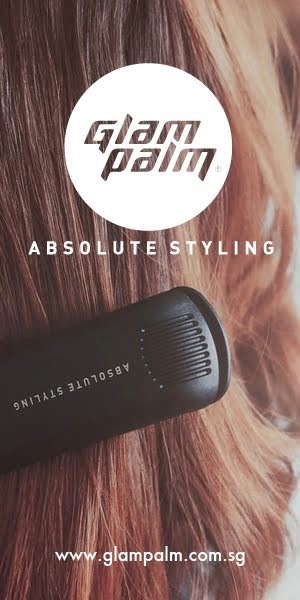 I will be taking this product with me to HK as I've already fallen in love with the product over a short amount of time! I was wondering if there was a drugstore dupe for this product? Well I think that depends. From what I've heard, Aveeno's Positively Radiant Scrub (though only available in US I think) is quite a good dupe for it. 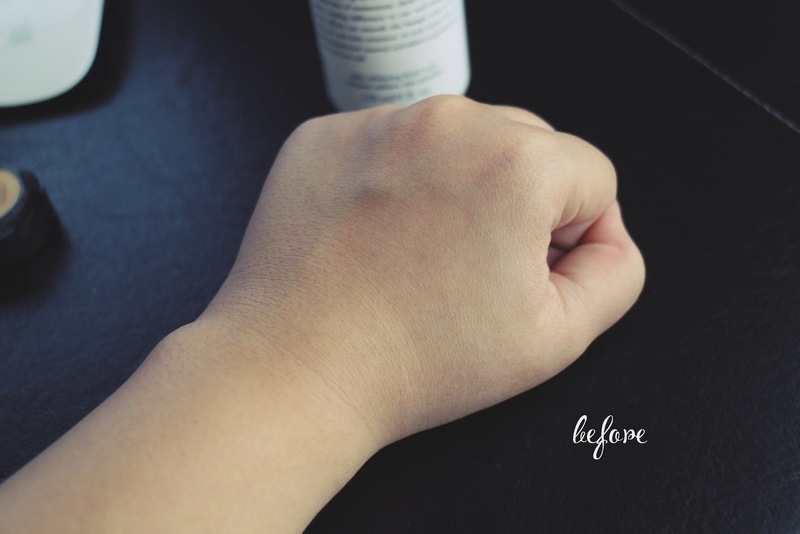 If you're looking locally (Singapore), I think St Ive's Green Tea or Apricot Scrub could match up :) Just use it gently because I've heard the grains aren't as fine, but the result should be similar!